Looking for some snazzy Gems to dress up your look Theknot.com + Adorn Jewelry are offering a free diamond jewelry rental to one of our lucky readers. 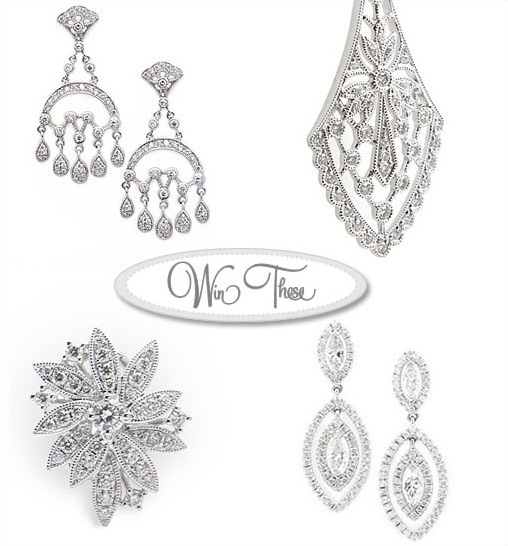 You can borrow bridal jewelry like one of these and enjoy the sparkle without the hefty price tag. In order to enter visit Theknot.com's shop here, share with us which piece you L-O-V-E the most by leaving a comment. The winner will be chosen next Monday so feel free to enter as many times as you like.